Would You Like Some New Or More International Exposure For Your Christian Writings? 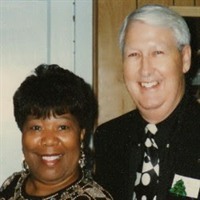 We are Bill and Teddy Rogers, founders of Prime Life Ministries in August of 1990. We first published www.primelifeministries.com/ and its first bible based post and web pages on Feb. 2, 2015. As of this date, God had blessed us with over 160,000 visitors from 128 countries. People from all these countries are obviously hungry for God's Word and, with your help and input, we would love to give them a lot more of it. If you have written a bible based testimony, article or blog post and would like to have it published on the internet for the first time, we would love to publish it on our blog giving you credit as our guest author with a link back to your website or media page if you have one. If you have written bible based testimonies, articles or blog posts and would like more international exposure on the internet, we would love to re-publish your writings on our blog giving you credit as our guest author with a link back to your website or media page. Your photos or images that you want included. We will include the following at the top of each post we publish and email you with the date that your testimony, article or post will be published. We look forward to hearing from you and giving your Christian writings additional free international exposure. Finally, please pass this information on to other Christian writers you know who may want or need this free international exposure. Let's really crank this up, give God the glory, and win some souls for Jesus.